Stop for a moment from the everyday rush and hurry, take a dip at least a little while in thought. Try to say why I am where I go after death? There is only by coincidence that brings us to the theory of evolution, or we work the creator? Why is our planet twisting in pain, why is this world so many disasters, war and unexpected disaster? Why is this world so evil that pushes the human heart, love, compassion and humility? Why is humanity today is greedy, lying, and indifferent to everything? Is it possible to answer these questions, there is a source of truth? You will try to answer all these questions and bring light into your life and truth. Today's world is overcrowded information that is not often true. The world is full of lies, half-truths and fallacies. Remember that the history of our world, are recorded in advance in the book, which many fear, from which are turned away without having to consult her. To hold this book for people in former times of persecution, torture and burning their own churches. What is this book, what is it so mysterious? 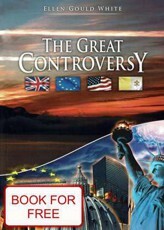 This book is the Bible, the source of truth, life and light. Try to at least postpone the moment of daily worries, desires the transitory things. Think about the meaning and objectives of your life in this ruined our world. Before attempting to study, try listening to this beautiful music. Thawing ice to our planet - the Bible gives a great "lab notes"
God's love for man, and Jesus Christ our only way. Approaching the end of the world is God's judgment? Approaching the court of God - get ready! Why do we believe that the Bible is God's word? This is confirmed by archeology? It is God's law is still valid, including the fourth commandment? Removes the grace of God's law? Were the Ten Commandments Really Nailed to the Cross? What must happen before the second coming of Jesus Christ? Spiritualism can talk to us dead people? What is death? What is spiritualism and the occult? Hell just is - what will be the end of the wicked people? Prophecy, as they confess and find the right one? Significantly increasing the number of natural disasters - to warn us! Dramatically increasing the number of earthquakes! Repent - it is now the most important thing! We need revival and reformation in our lives, not just words! Approaching the return of Jesus Christ, get ready!